Pierre let me borrow the Ramones documentary "End of the Century". 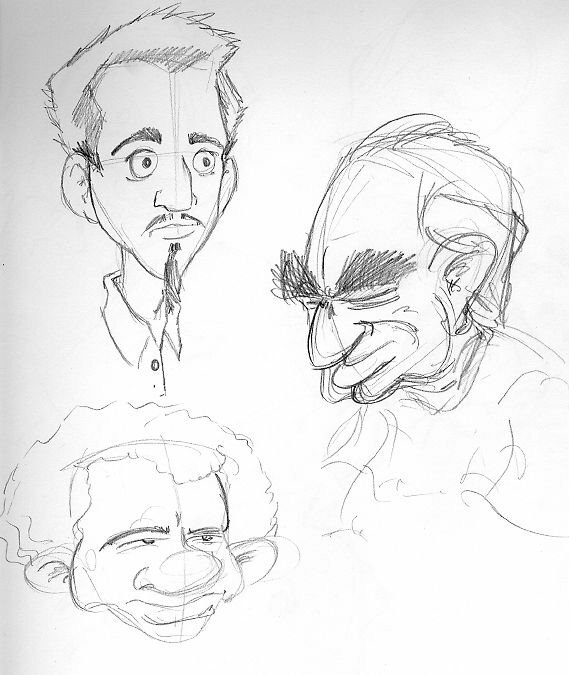 These are just some of the caricatures I did. 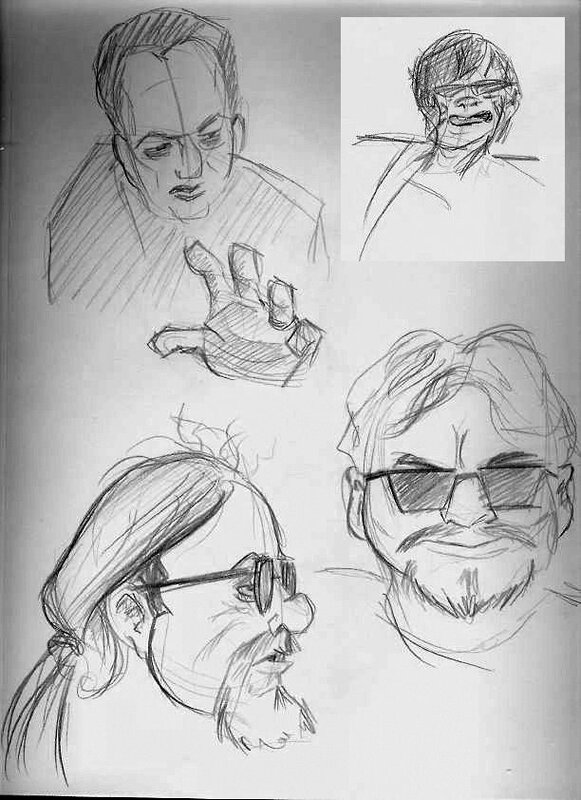 Top Left is Joe Strummer (I really like this drawing), Top Right is Dee Dee Ramone. 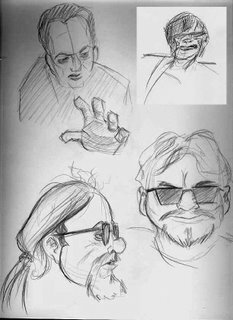 Bottom Left is Tommy Ramone. 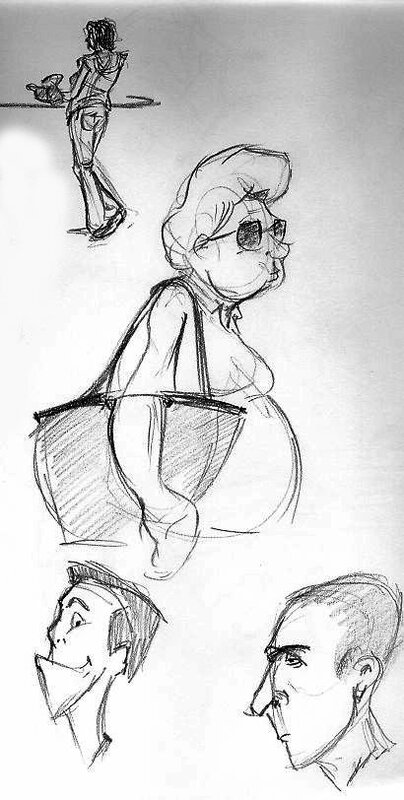 Bottom Right is one of the dudes from Blondie. 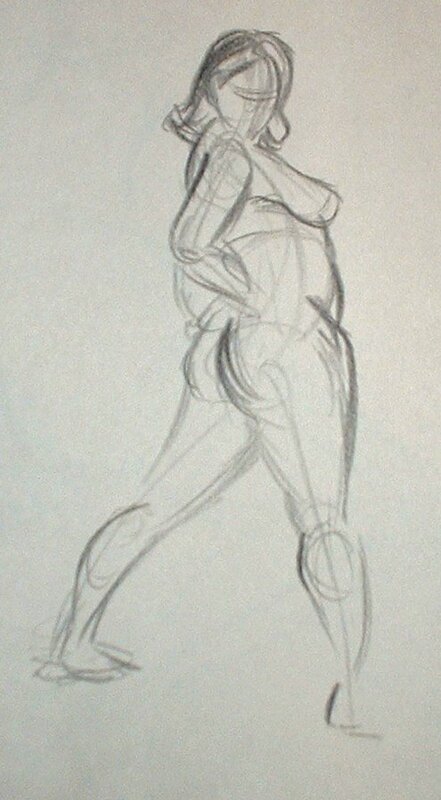 Man, these last two months have been extremely busy. I apologize for not posting anything, but I have been drawing. 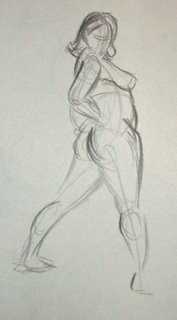 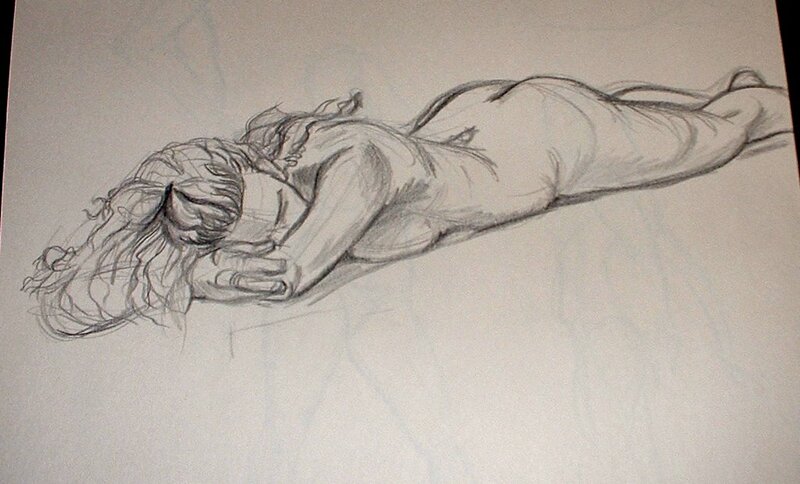 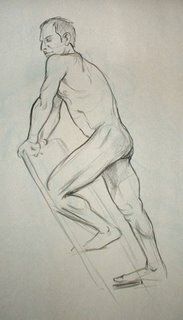 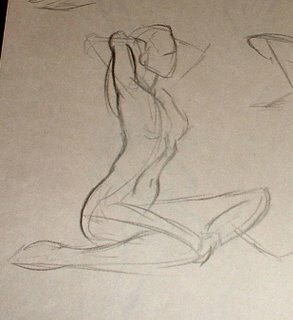 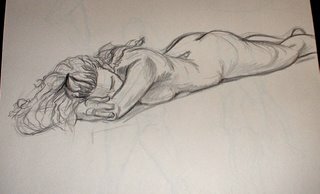 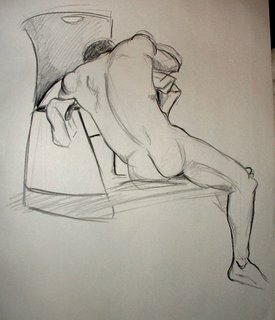 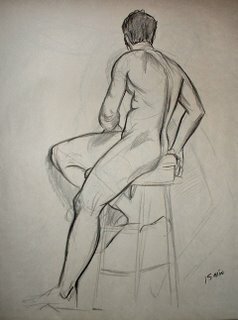 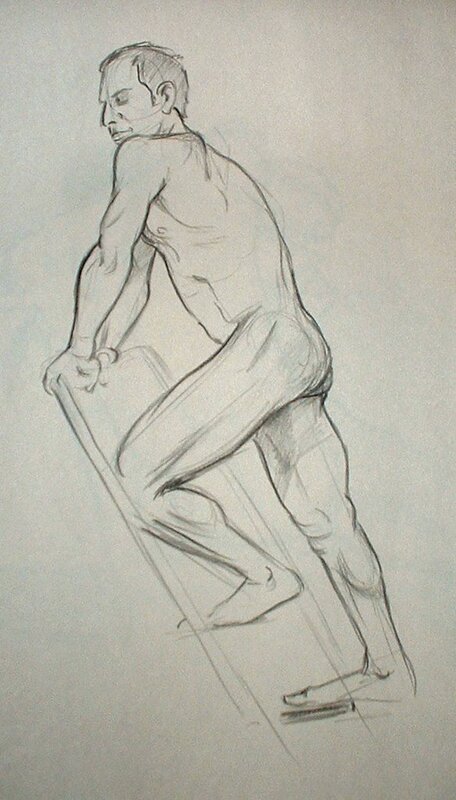 I'm going to start off with some of the figure drawing stuff I've been doing at the Thursday Sessions. 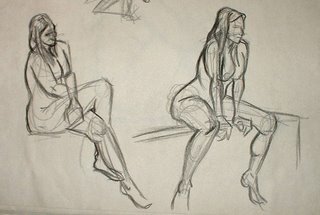 Some of the drawings might looked a bit skewed, because they were from a large newsprint pad and I had to take digital photos of them.